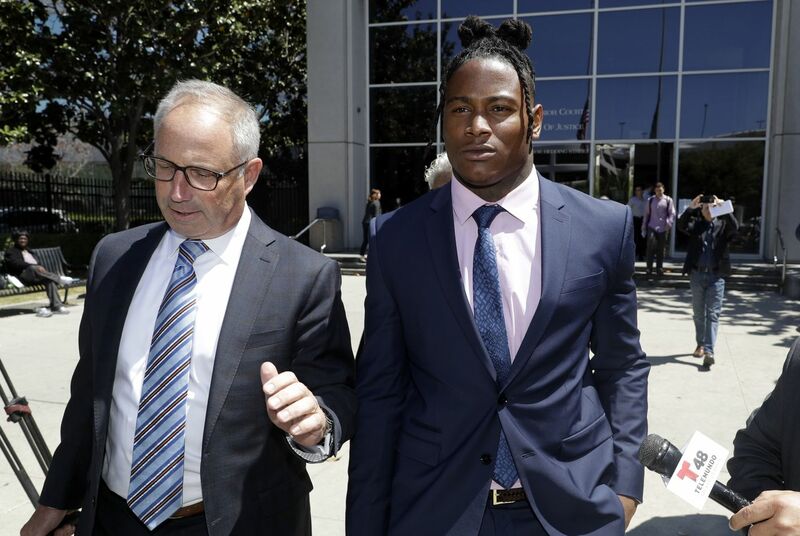 Reuben Foster was not the only one wronged by the false domestic violence allegations made against him. By accusing the San Francisco 49ers linebacker out of spite and greed, ex-girlfriend Elissa Ennis hurt every person who has been a victim of domestic violence and endangered those who will be in the future. She has made the job of police officers and prosecutors harder. Publicly, at least, Foster will be able to put this behind him quickly. Santa Clara County Supreme Court Judge Nona Klippen announced Wednesday that she was dropping the domestic violence charges, clearing the way for him to return to the 49ers. General manager John Lynch released a statement confirming Foster could rejoin the team Thursday. So long as Foster plays well and continues to stay out of trouble, most people will forget this happened. The ramifications for everyone else, however, will endure. Appalling as it was, the September 2014 release of a video showing Ray Rice cold-cocking his then-fiancee in an elevator was a wake-up call for the entire country. No longer was domestic violence a “family matter” to be whispered about and denied. The conversations that followed his banishment by the NFL helped people realize that domestic violence is a crime that doesn’t discriminate by race, gender or socioeconomic status. On May 12, in fact, 2009 U.S. Open champion Lucas Glover’s wife was arrested on domestic battery charges. According to the police report, Krista Glover berated her husband for his play in the third round of The Players Championship, then attacked his mother when she tried to intervene. But despite the progress that’s been made in the last four years, there are still too many people who doubt domestic violence victims or question their motivations. Too many women – and men – who don’t come forward because they fear they won’t be believed. Too many law enforcement officials who don’t pursue or drop cases because they know how hard it’s going to be to convince a jury without a Rice-like videotape. None of that is right, but it remains the reality. And Ennis, who admitted during a hearing last week that she made up the accusations against Foster because she was mad he was breaking up with her, has made it worse. It’s easier to doubt domestic violence victims because if it’s happening to them, it could happen to your sister or your best friend. Maybe even you. And unless you’ve been there, most people can’t fathom a woman (or man) sticking around after they’ve been beaten. They don’t understand there are a multitude of reasons why, with fear, shame, kids, love and economics being just a few of them. With her selfishness, Ennis only gives fuel to the doubters, especially given that this wasn’t the first time she’d lodged false accusations. Even when there’s evidence of abuse, some will say the victim has fabricated it, because that’s what Ennis did, blaming her injuries on Foster when they were from another, unrelated fight. For those contemplating leaving their abuser, the effect will be even more profound. As they try to work up the courage to go – and make no mistake, it takes profound courage – some will decide that no one will be able to separate their story from Ennis’ and put down their bags, resigning themselves to more violence. Or worse. And when the rare case does make it to trial, Ennis has just handed defense attorneys a gift. She might not be their client’s accuser, but if Ennis lied, what’s to say this woman didn’t? It’s only right that the charges against Foster were dropped. But the damage Ennis did goes a lot further, and it will be a long time – if ever – before that can be undone.